There is a picture everyone will start painting. 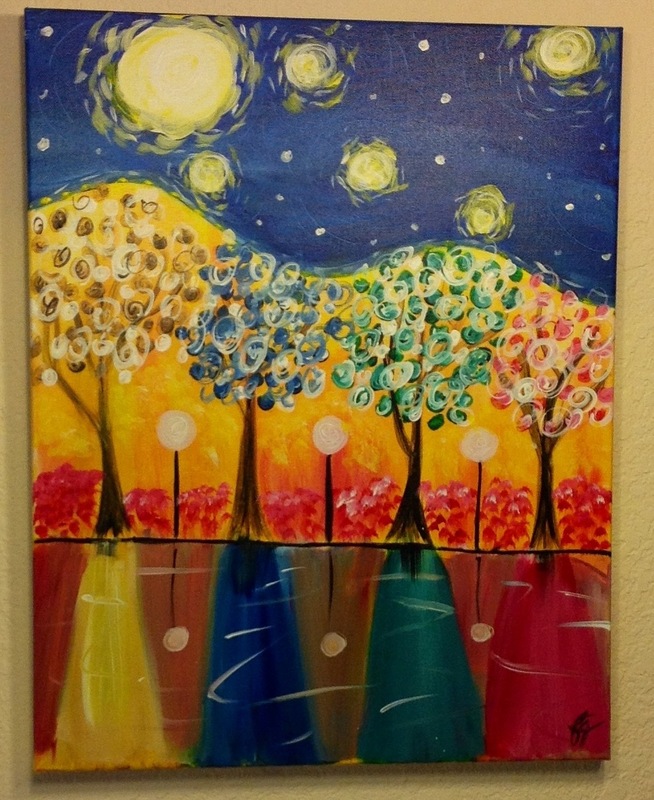 You can paint it similar to the picture or do your own thing. 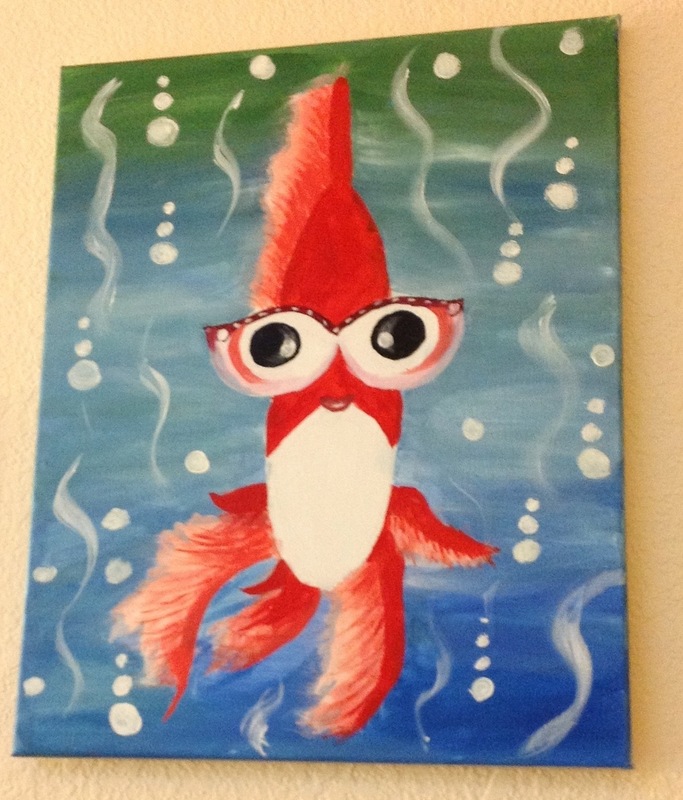 Here are some paintings my sister-in-law painted. Staying In Olympia with my Sister-in-law for several days. She’s driving us around today. Went to brunch at the Lucky Eagle Casino. Since my birthday was in June, I get a free brunch once for the month of June. Brunch was all you can eat, YUMMY! 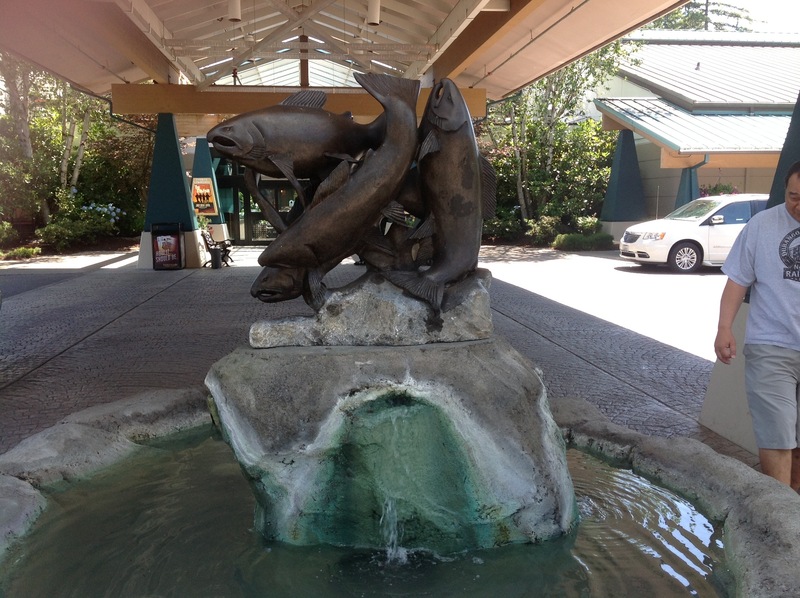 Here is the lucky salmon stone in front of the casino. In the restroom, on the toilet are seat covers that automatically changes. Next stop was at Michaels to look for penny items. Look on YouTube for penny items found at Michaels. The items are not priced at a penny or zero cents but when scanned it will price at a penny or zero. I’ve been watching many YouTube vids. Hope I find some. First stop is Michaels in Chehalis. I bought them anyways because they were so cheap. Go on the website and print out the coupons. Next stop was at Michaels in Lacey. This is a chipboard sticker for a penny. Bought lots of blue tagged item but didn’t ring up a penny but was under a dollar. Checking all over the store and way in the back. From Wednesday, we’ll be staying in Gig Harbor. There is a Michaels there so I’ll be checking there. Driving from Olympia to Gig Harbor are 3 more Michaels along the way. Heard Michaels will honor their competitors coupons. Go on Hobby Lobby and print out the coupons. 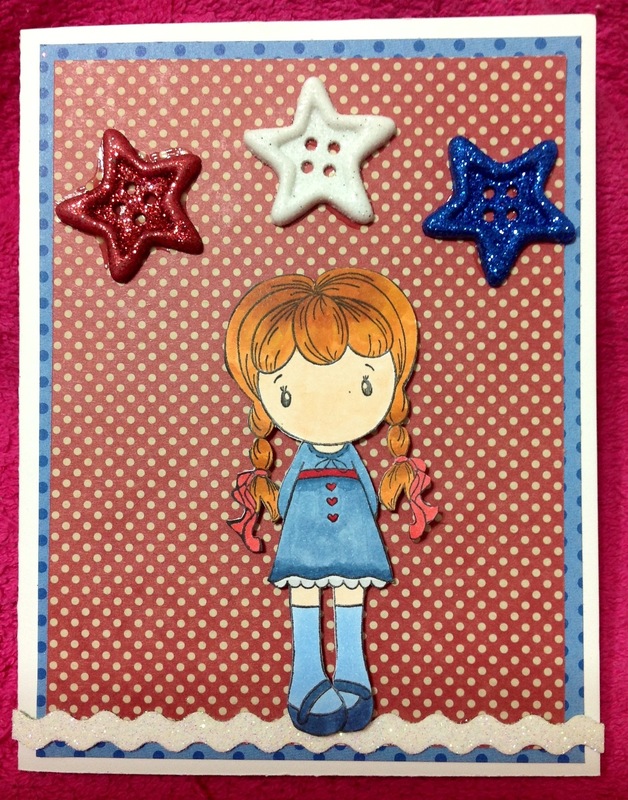 Here is a Fourth of July card I made using Rosalie from CC Designs Rubber Stamps. The stars I found on sale at Ben Franklin. I wanted to use this sticker but I did not want it green. I wanted something white for red, white and blue. I flipped the sticker over and sprinkled glitter on the sticky part of the sticker. Then I applied glue to the green part and placed it on the card. Entering this card in Kitty Bee Designs Red, White and Blue challenge. We’re finally here in Seattle. Flights were sold out leaving the islands. Switched airlines and we’re here. Another Hello Kitty pocket Coffee card. I found the button, I Love Coffee at Ben Franklin on sale. Sandy stamped up two CC Designs Rubber Stamps and gave them to a few of us. Here is Cupcake Birgitta that she stamped up. 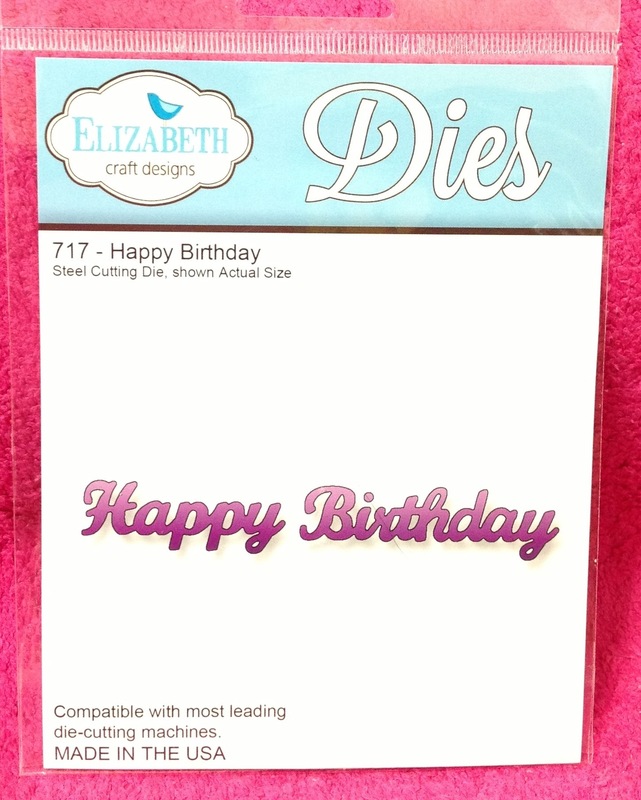 The sentiment, Happy Birthday was from Elizabeth Craft. Used the Curly Q Border from CC Designs Cutter die. I glued down the Curly Q Border but….was a little bit messy so I used the adhesive remover from Cute Stuff. It acts like an eraser and removes the excess glue. Found the buttons from Ben Franklin’s Red Tag sale. Got containers filled with green, blue, red & pink buttons. Anyone need buttons? 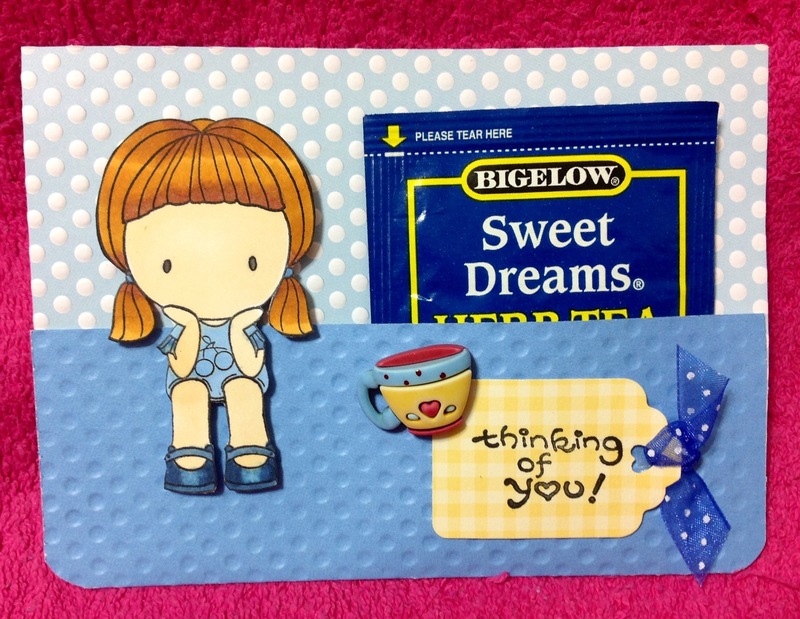 Yesterday sent two crafters something small to thank them for frequently visiting my blog and making comments. 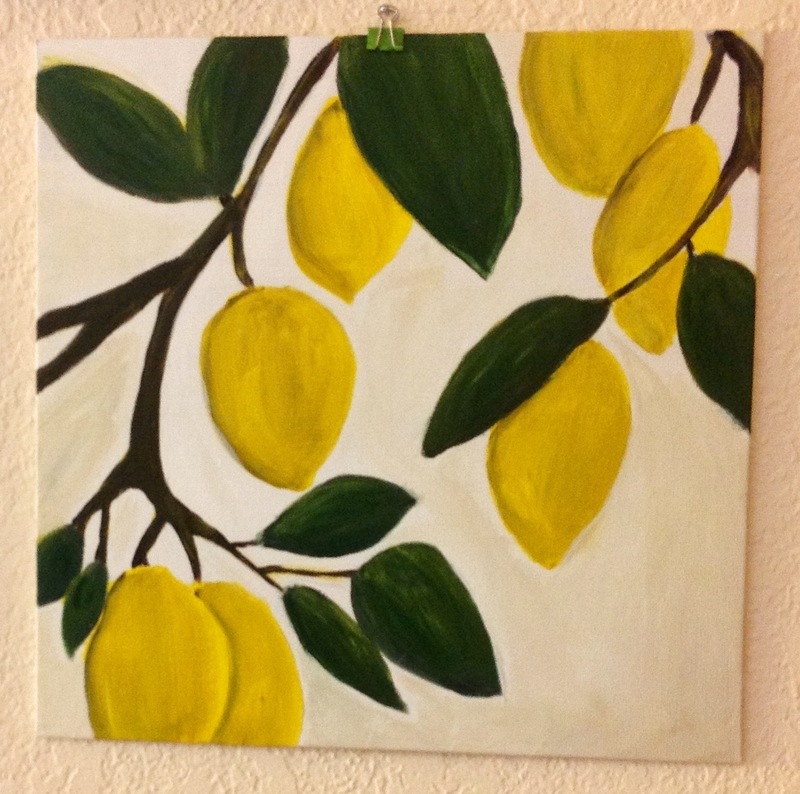 I like reading comments but I am guilty of not always leaving a comment on other crafters blog. I will try to do better. The two crafters are Roberta and Karen. Thanks again. In July will be my blog’s one year anniversary. I will be giving away blog candy….stay tuned! 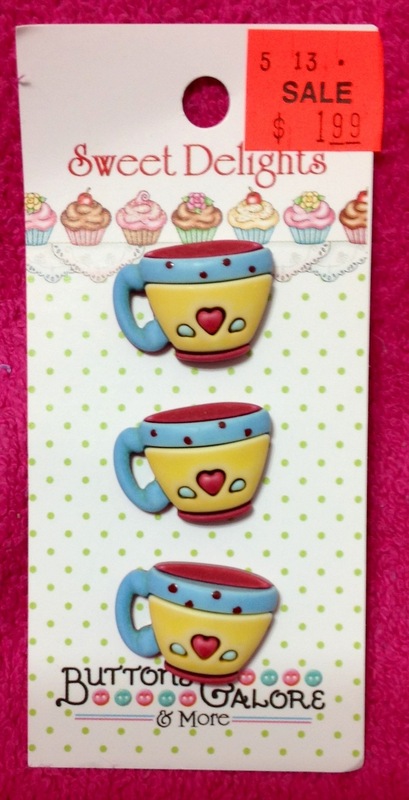 Here are three cards made by Crafter Anne F.
She used the Kitty Bee stamp. First one, the chair & relax is from the Cricut cartridge, Life’s a Beach. The grass is from Cottage Cutz. The branch and leaves are cut out from Time Flies-Pinecone Press Papers. She colored the bear stamp with colored pencils. Glossy Accents the ice cream. Second one, the bowl & chopsticks are from the Cricut cartridge, Pagoda. The noodles were scraps saved from other punches. 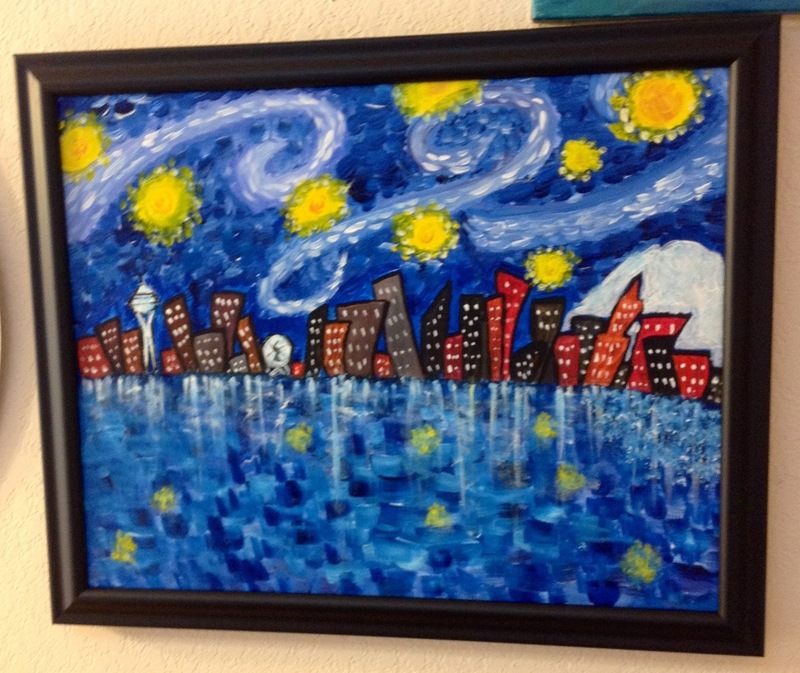 She used colored pencils to color the image. Third one, Wish You Were Here was from the Sentimental Cricut cartridge. I cannot find the paper with all the info…. Here is Abigail from CC Designs Rubber Stamps going on a trip. 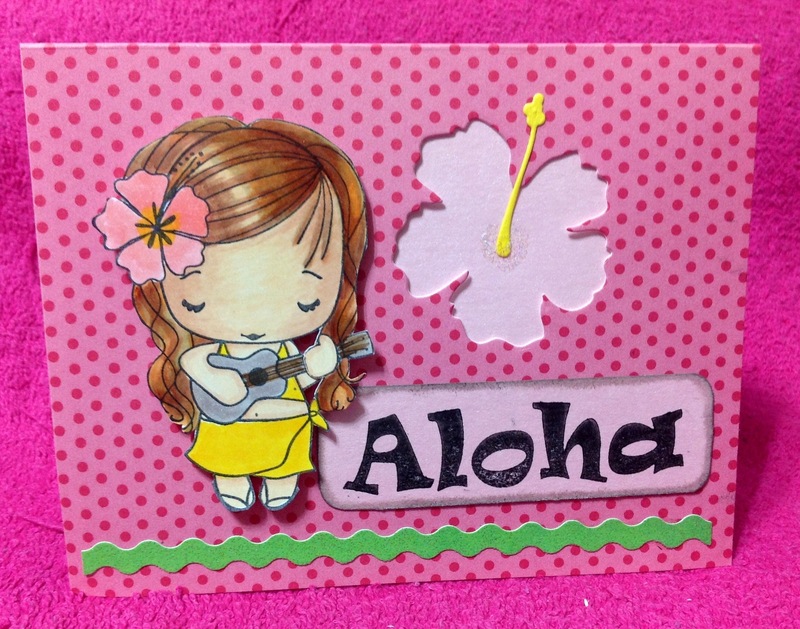 The Bon Voyage stamp found at Cute Stuff. The theme for June’s ATCs was Outdoor. Next month’s theme is Hawaii. 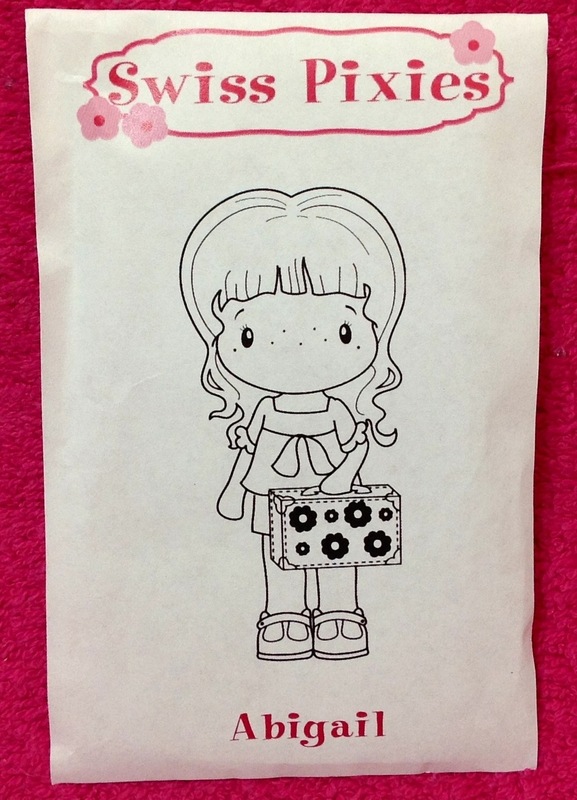 Yesterday I received stamps from Yumi & Fumi Handmade Stamps. I got the new Summer line called Summer Fumi and Tiki Surf Set. I also received some flower die cuts. Hello Kitty pocket coffee holder. Wilma and Charlene did the projects for this month. She made a Sympathy card and Thank You tag. She used the Cricut cartridge Base Camp for the Black Frame and White Background. The Walk in the Garden cartridge was used for the tulip. Sentiment for the tag was from Die-Versions. 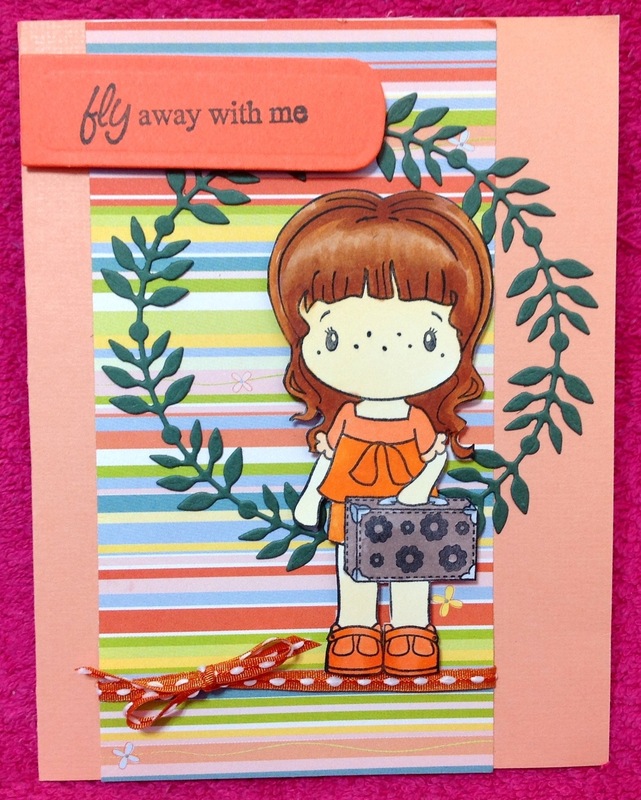 Next is Charlene, she made an Owl card using Create-A-Critter cartridge. 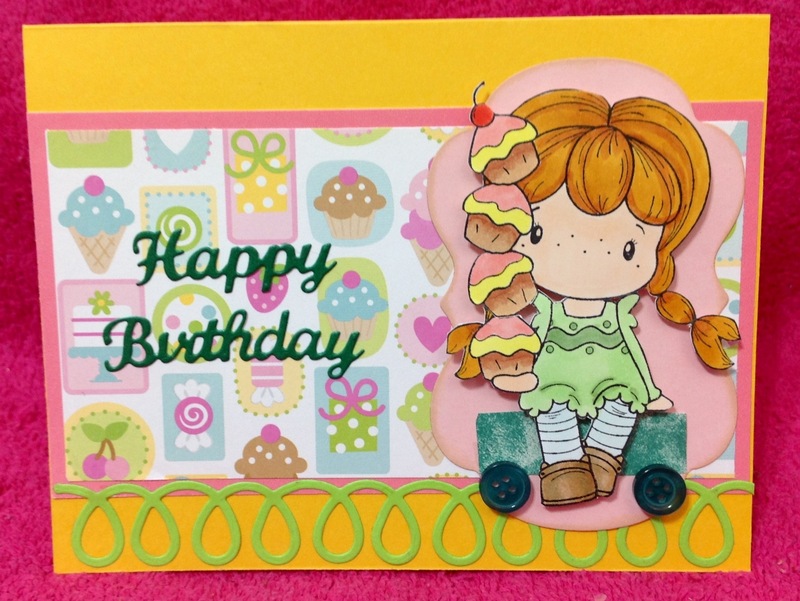 She showed us how she used the Die-Version die cut sentiment Congratulations on her card. Congratulations is too wide for the card. Charlene snipped Congrat and left the “tail”. She then cut off the s also leaving the “tail” before the s then you join Congrat and the s.
Nice projects Wilma and Charlene!!! 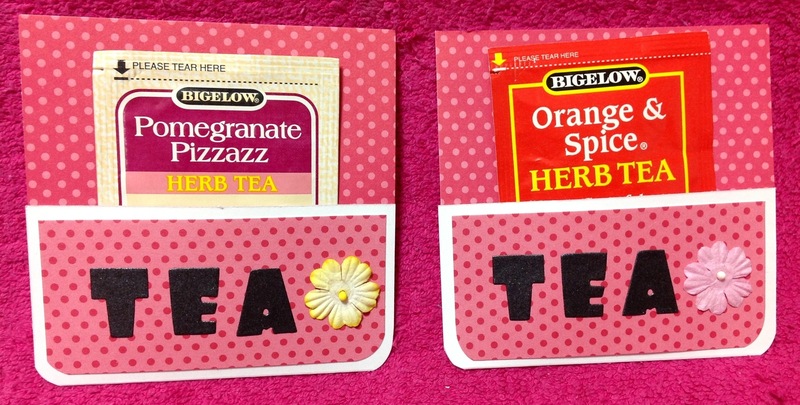 Here are 2 pocket tea holders. 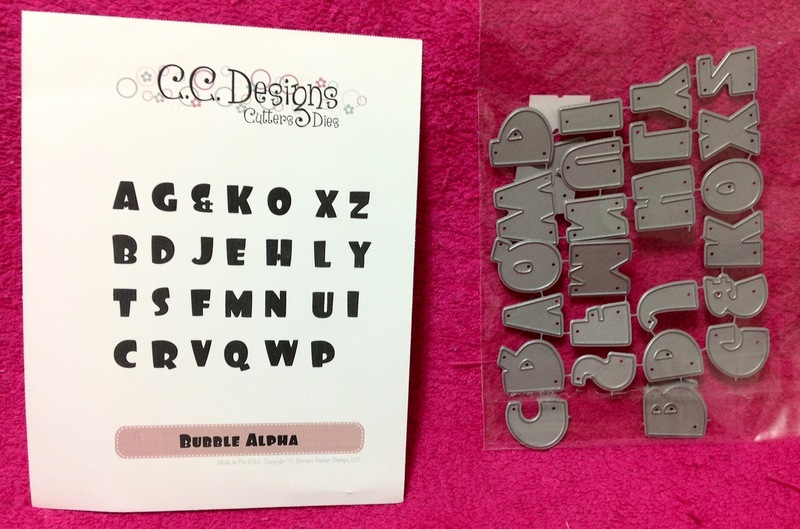 Used the CC Design Cutter Dies called Bubble Alpha. Flowers found at All Natural Accents. Used the Poppy Stamp dies Ivy Tendril and Small Madison Window. Found on All Natural Accents. Happy Father’s Day!!! See ya tomorrow Dad. Yesterday went to Celebrations in Mapunapuna. Found this small flower punch. Punched out using light pink paper then used the stylus. 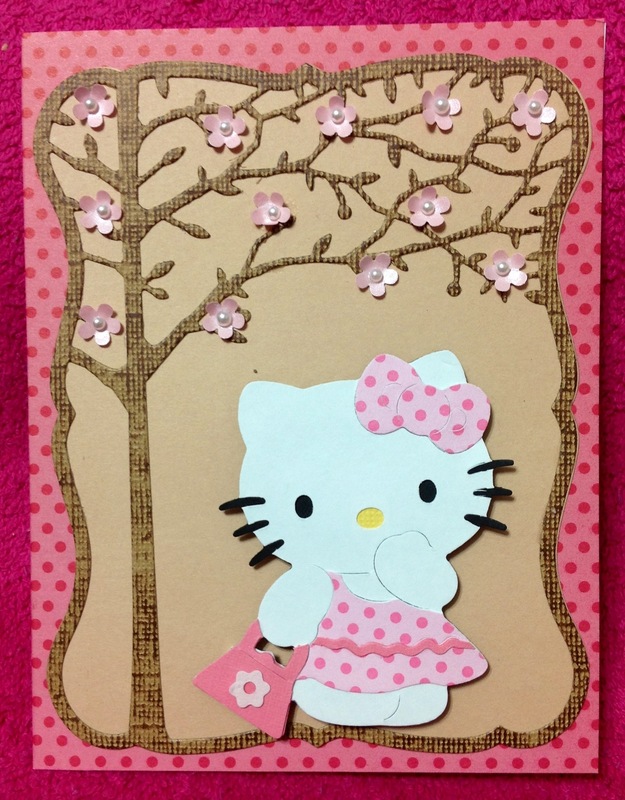 Here is the Hello Kitty card. BFF Carol made some hello kittys for me and I made her some cards. Used the Memory Box Orchard Tree Frame and Debutante Frame. This is the easiest Father’s Day card I’ve ever made. 2 cuts to make the collar. 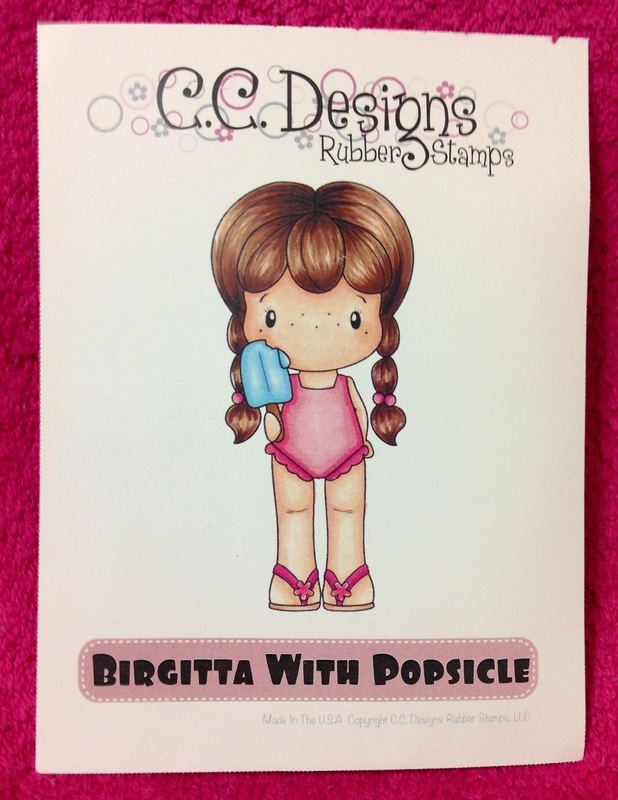 CC Designs came out with this new stamp called Birgitta with Popsicle. Found at Cute Stuff Hawaii. Used the Memory Box Cloud die with Tim Holtz distress ink called Tumbled Glass. 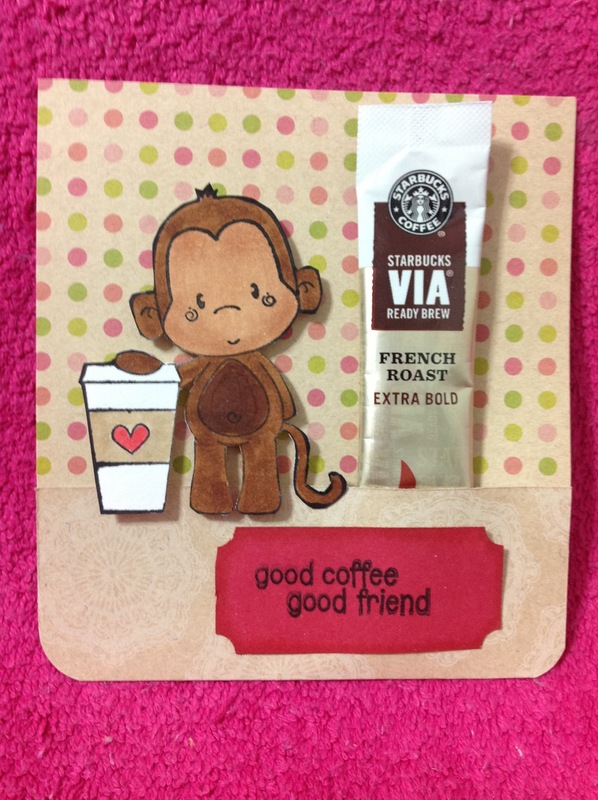 Thinking about coffee…..used the Starbucks French Roast individual packets to make this easy pocket card. 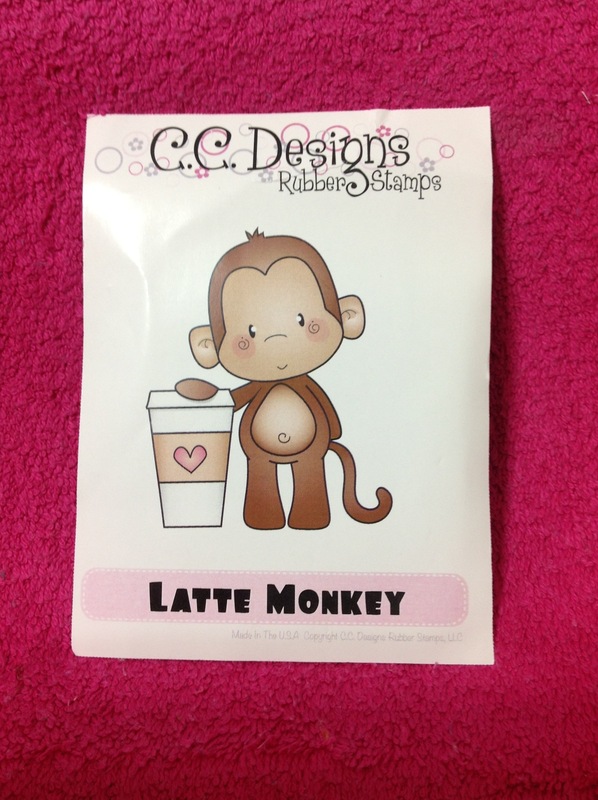 Used the CC Designs Latte Monkey. Made this card using a Greeting Farm stamp but I do not know what this stamp is called. The package for this stamp just only had the stamp. It was unopened for years so…I didn’t lose the packaging picture and info. Anyone know the name of this stamp…let me know. Paired up with the Memory Box Hibiscus Flower. Found on All Natural Accents. Made two graduation cards using the TAJ Clubhouse stencils. Took out my light box, stencils and stylus. Here are the cards for Pearl City High School. Inside I used the Die Versions “Let’s Celebrate Today”. 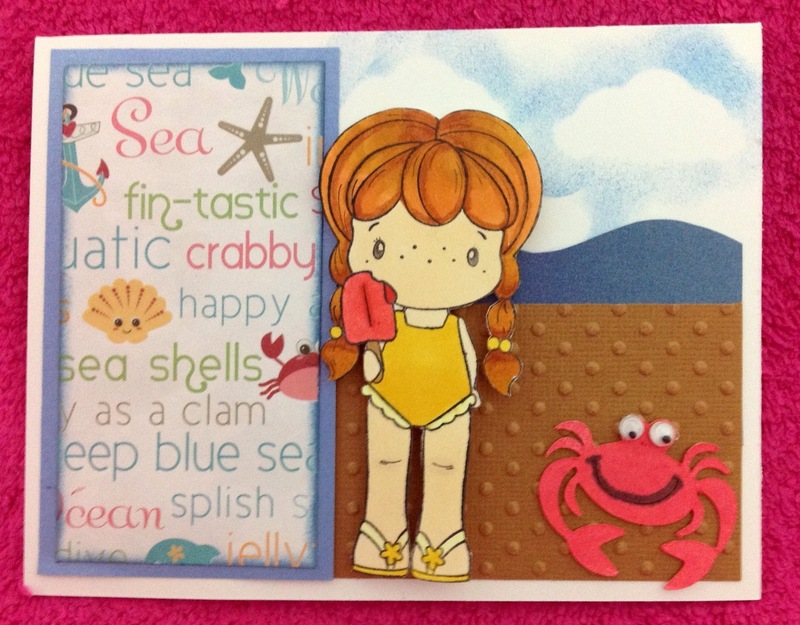 Here are three cards made by Sandy H. using the CC Designs Birgitta. I like her coloring and how she used bows on the hair…nice touch. I gotta dig out the stone wall that Sandy used. 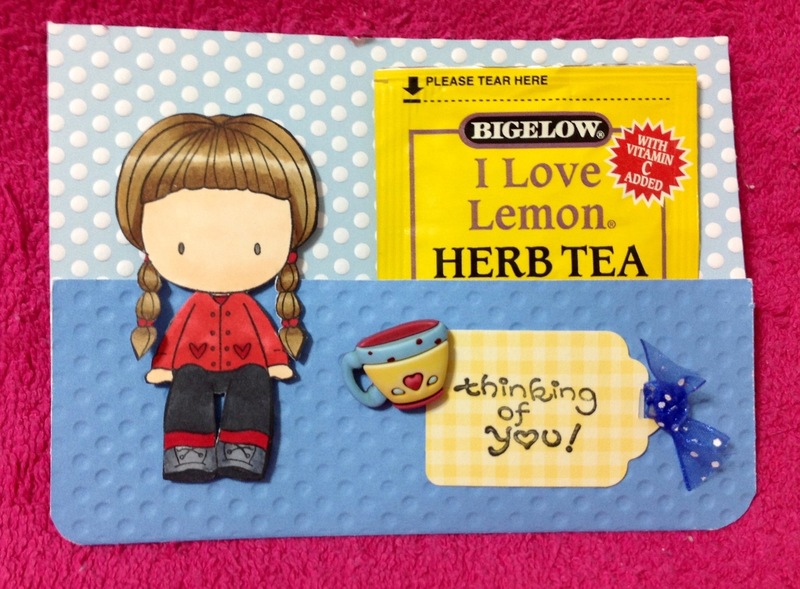 Here is another tea pocket card using the CC Design Rubber Stamp Girl. Now that school is OVER and I have some time to relax until summer school on the 13th. 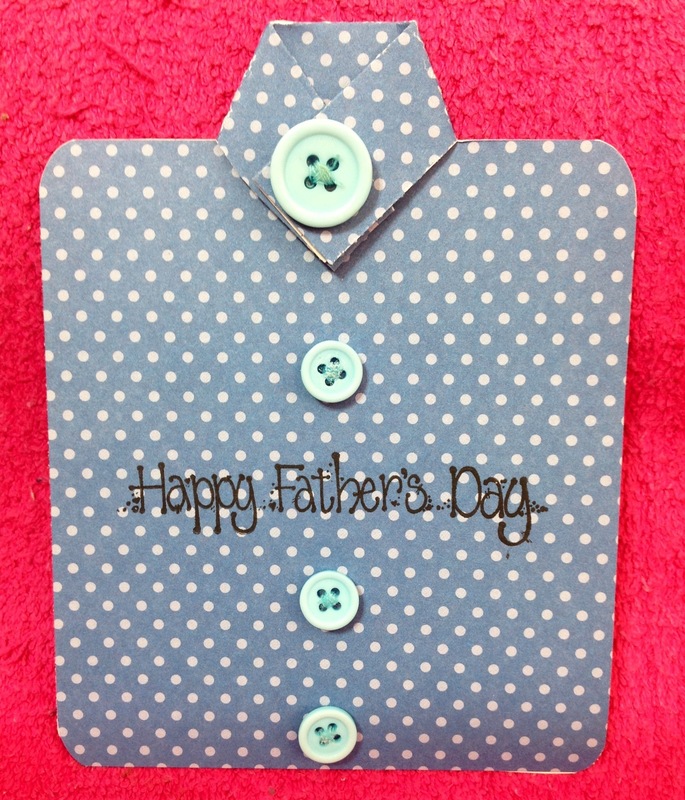 Made this pocket card using Emma from CC Designs Rubber Stamps. Cannot see but the packet is Herb Tea. Found the cups (buttons) on sale at Ben Franklin. Just cut the back off and glue it down. Guess I’ll be make more cards. Used CC Designs Abigail on this card. Added the Memory Box Tupelo Circle. I’ve been sick since the last day of school. Lots of coughing and running nose. But I’m getting better and hope to go out this week. 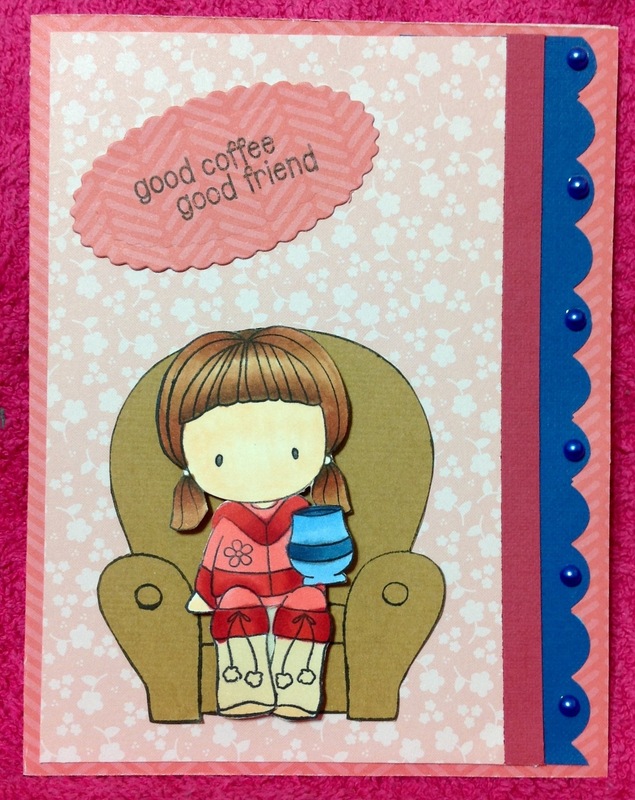 Made this card thinking of my weekly coffee drinking with my BFF Carol. Haven’t had my coffee at our regular hangout for 2 weeks. 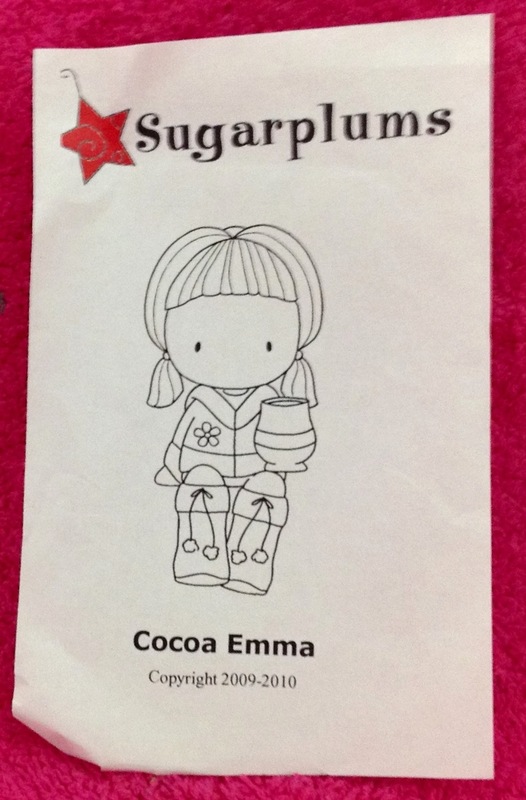 Used CC Designs Cocoa Emma and the cozy chair is also a CC Design stamp. Can’t believe one of the blue embellishment moved when I took the picture…started to bug me so I fixed it and re-took the picture. Thanks for stopping by….is it coffee time?